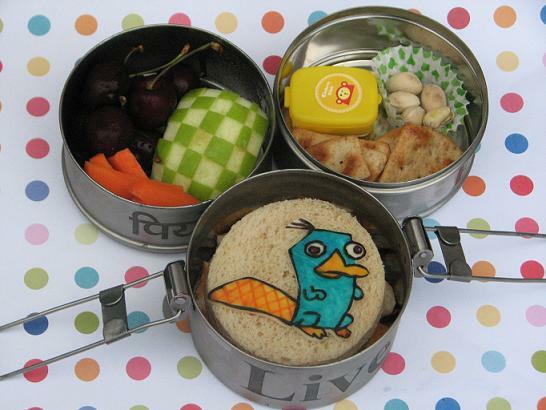 Bento for Kidlet: Hey, where's Perry? Kidlet started Zoo Camp this week. It's his second year and he is really loving it! The bonus is bento lunches of course. That and now that he is in the older group he gets to spend the night on Thursday at the zoo! When I asked him what he would like to see in his lunch he said "A Platypus.....Oh! 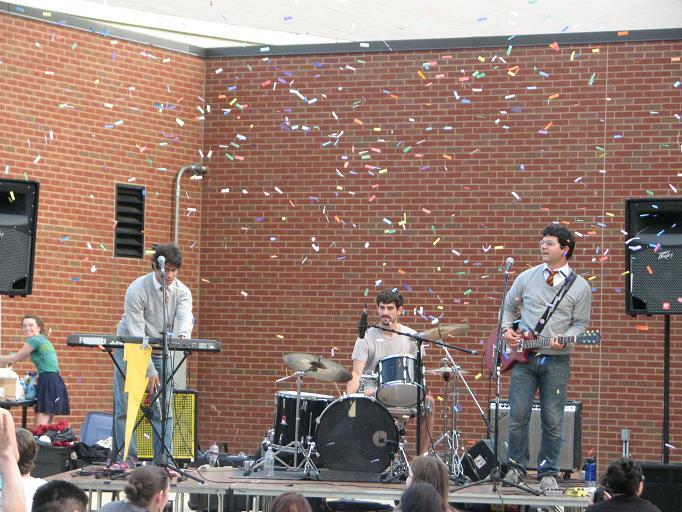 Perry!" In his three tier tiffin Kidlet has a soy ham sandwich with Perry the Platypus cheese, carrots, checkered apple, cherries, dressing container, pistacios, and pita crackers. 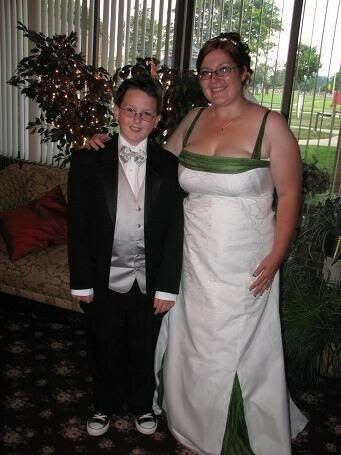 Kidlet was in the wedding of my buddy :) Here he is with the bride looking all cute in a tux with bowtie and chucks. And of course what summer is complete without swimming lessons?! Kidlet finally hit his swimming stride and breezed through two levels in one week!